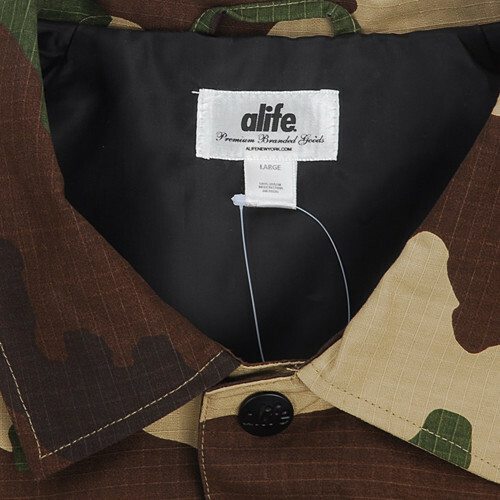 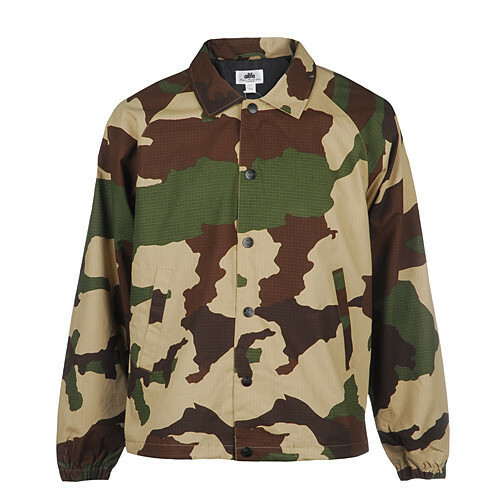 NYC based streetwear pioneers ALIFE have constructed a coach’s jacket, designed with an “all-over cross-hatched camouflage” shell. 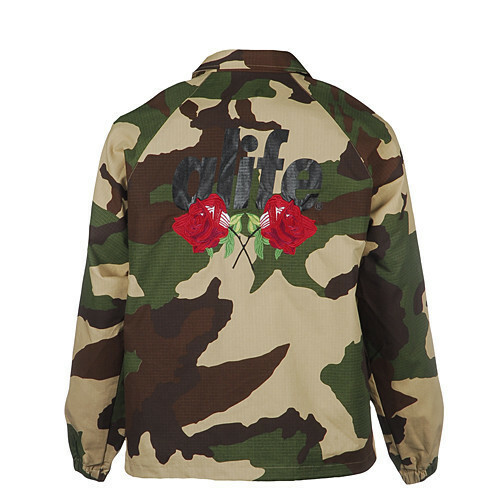 Emblazoned on the jacket’s back is an embroidery of two crossed roses beneath a screen printed logo, giving the garment an exquisitely attractive design contrast and all around look. 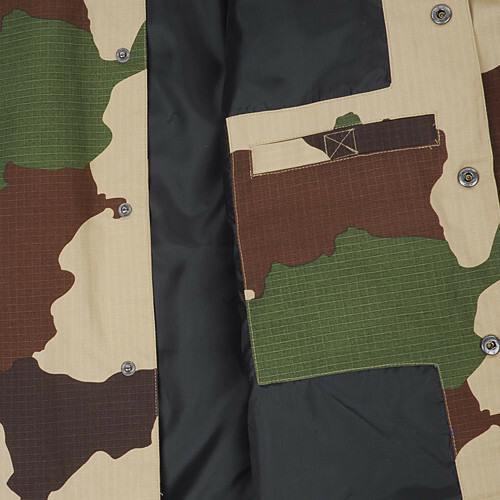 Constructed from a cotton exterior and polyester interior, the jacket is equipped with both front and breast pockets, snap-button closures along the front, as well as adjustable cuffs for a more personalized fit. 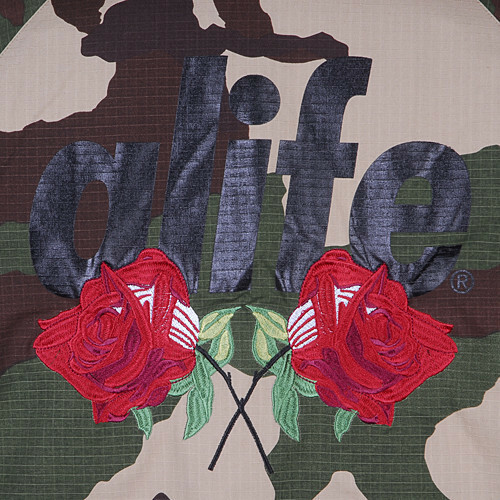 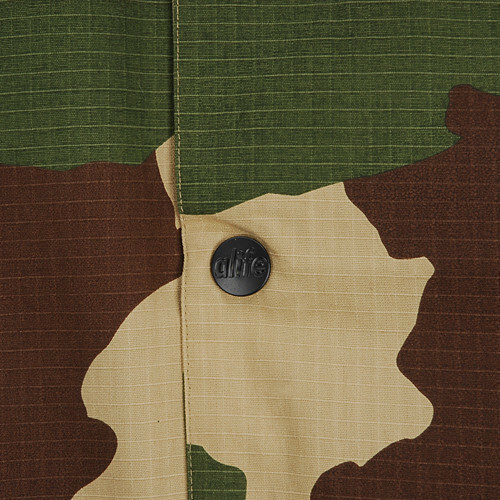 Priced at $97 USD, the ALIFE Roses Camo Coach’s Jacket is available now from your local ALIFE stockists, as well as from Canadian retailer Livestock’s webstore.